All is not lost! Help is still available. 1. Disable Inbox “smart” sorting. 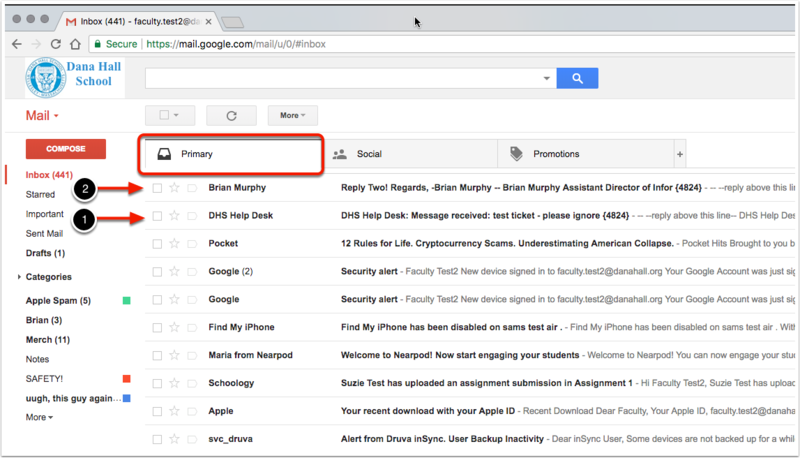 Click on the “Gear” at the top-right of your gmail window, select “Configure inbox”. Uncheck all checkmarks and click “OK”. All mail will be listed together. 1. Click on the pesky (but useful!) 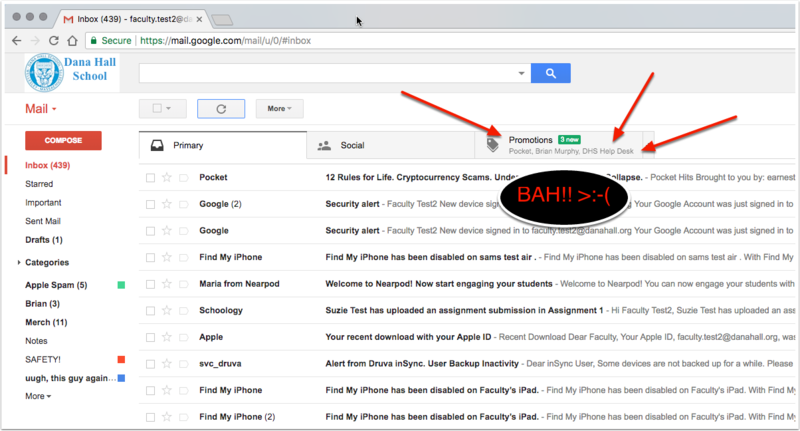 “Promotions” tab. 2. Find the message you were missing from Help Desk. 3. 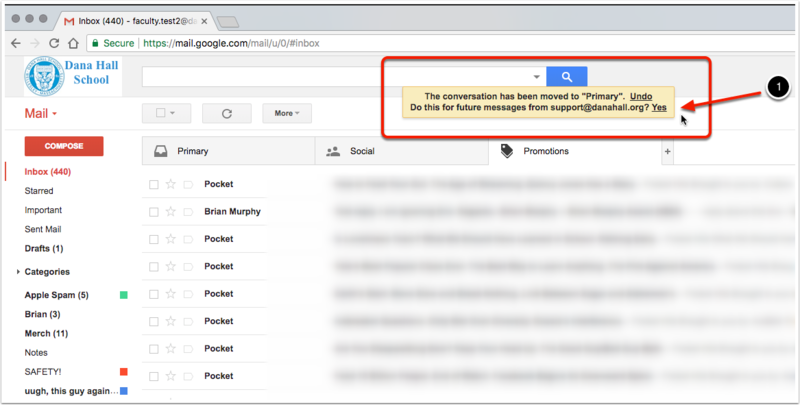 Click and drag the message over to the “Primary” tab. When you see this little pop up, click “Yes” to have future messages from Help Desk go automatically to “Primary”. 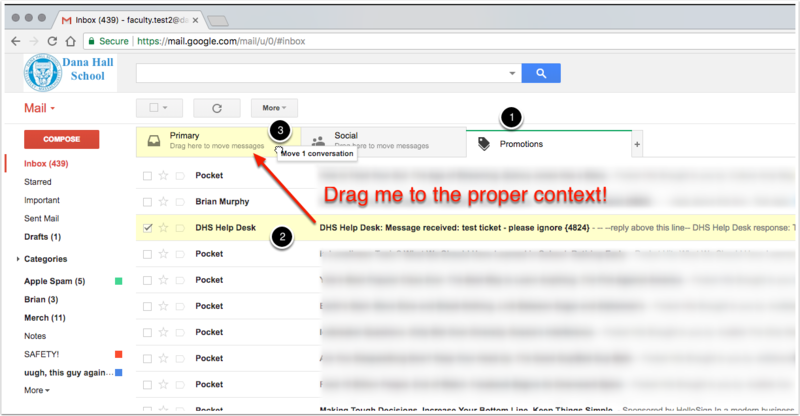 Both the message you just received (1) AND future replies (2) from Help Desk (or any member of our team replying though Help Desk) will show up properly in the “Primary” inbox.